The Costa del Sol is a preferred destination throughout the year, a place to enjoy a good holiday. A destination that offers not only good weather but countless activities for all ages. It is equally recommended if you plan to take a family trip, travel with friends or even alone. From this blog of the Costa del Sol we will try to inform you about everything that could be of special interest to plan your visit. When we travel, many questions arise, some questions are more important than others but all of them are worth. We’ll try to answer them all. Is it safe to swim in the sea? What to do if stung by a jellyfish? What is the difference between travelling to Malaga in August or December? Which month is best for me? What transportation should I use to get to a recommended site? Is there a good public transport system in Malaga? Should I be worried about mosquitoes in Spain? What kind of internet connection will i find there? I’ve never been to the beach, should I read a guide to sunbathing safely? These are just a few of the many questions you might ask yourself before you travel, but there are many more. From our blog we actively respond to them so that you travel with total peace of mind and knowledge of your next destination. Many of our blog posts could be useful for any destination as we offer general travel tips, others however are more focused on Malaga and Andalusia. Why is the Costa del Sol so famous? The Costa del Sol is a destination for everyone, offering endless activities for all ages. The climate is mild throughout the year and has a tourist infrastructure capable of absorbing large numbers of tourists, especially during the summer months. The beaches of the Costa del Sol are very popular for most of the year. Already in the 1960s, the Costa del Sol was a world reference, a meeting point for great Hollywood artists who chose this place as their holiday destination. Many celebrities ended up acquiring their second home here. Do you want to discover who and why? The Costa del Sol comprises the space between the Costa de la Luz in Cadiz and Costa Tropical in Almeria. Originally they were small populations formed by fishing settlements, which gradually evolved in part due to the popularity reached worldwide since the 1960s. 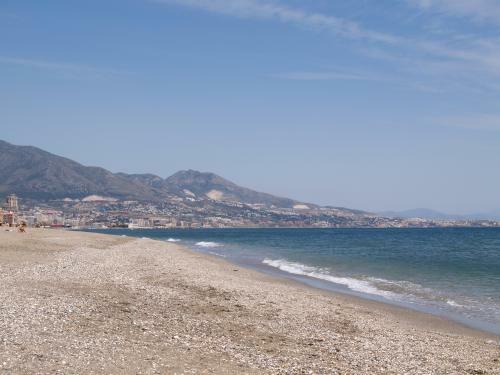 The towns of Torremolinos, Benalmadena, Fuengirola, Mijas, Marbella, San Pedro de Alcántara, Estepona, Manilva, Casares, Rincón de la Victoria, Vélez-Málaga, Torrox, Frigiliana, Nerja and of course the city of Málaga make up the Costa del Sol along the entire Mediterranean coast. If we had to compare, we could say that the Costa del Sol is equivalent to what California means in the United States, because of its climate, geography and tourist offer. Would you like to learn more about the Costa del Sol? Continue reading our blog posts. All the information you need to travel with your pet. If you've ever thought about taking your little fellow travellers with you, you might want to know the steps to follow and how to plan the adventure in advance. In Malaga there are also events every year for dogs. The Butterfly Park in Benalmadena is a beautiful place where you will find numerous species of butterflies. It is also next to the Buddhist Stupa and a viewpoint with amazing views of the Mediterranean. Whether you travel with children or if you want to know different species of butterflies it is a recommended place to visit in Benalmádena during all the year. Want to know more about it and some interesting facts about butterflies? During the long summer months caressing the Costa del Sol, with long nights and warm sea breeze, life takes place in the street, where both locals and visitors enjoy their leisure time and have fun outdoors. An essential element of the nights in Malaga are the rooftop terraces. We give you some of the best proposals for a drink after work or to start the evening. If you are looking for a Nature Theme Park in a friendly environment you can't miss Amazonia Park in Elviria, very close to Marbella. Zip lines (one is the largest in Andalucia) and circuits that test your skills, both for children and adults. Would you like to read more about it? Time passes and in many cases we form a family or we plan to do so, children bring many joys to our lives and will be part of our future holidays and adventures. We must therefore be prepared to make their trip as good as possible, for this I have written this guide based on experience that aims to help anyone who wants to plan a trip with children, whether by plane, car or train. The longer the trip the more prepared we should be for it. Holidays with kids is quite an adventure, but even more so for them. Ideally, plan your vacation with their needs in mind. In Malaga you will find funny hotels for children both in summer and winter, some even have a zoo or water parks that the whole family can enjoy. Would you like to read about the best family friendly hotels in Malaga? On the Costa del Sol we are privileged to have ideal locations for Yoga sessions. In addition, every year there is a Yoga Congress in Marbella and a Family Yoga concentration at Plaza de la Merced. If you are interested in more details about Yoga, its objectives and the most practiced styles you may want to take a look at this article. The Enlightenment Stupa is the largest Buddhist temple in Western world. What is a Stupa and what kind of Stupas can we find? Read all about this monument in Benalmadena, next to the Butterfly Park. Discover the best viewpoints in Malaga with our guide and enjoy the breath-taking views of the Costa del Sol and its natural surroundings. Ideal places from where you can take spectacular photographs of Malaga such as those shown here. Would you like to? The arrival of spring brings us an explosion of colours and fragrances accompanied by good weather and activities such as Easter. Do you want to know when this season arrives in Malaga, some healthy rituals that you can do or know a little more about the Spring Equinox?